August has been a busy month. 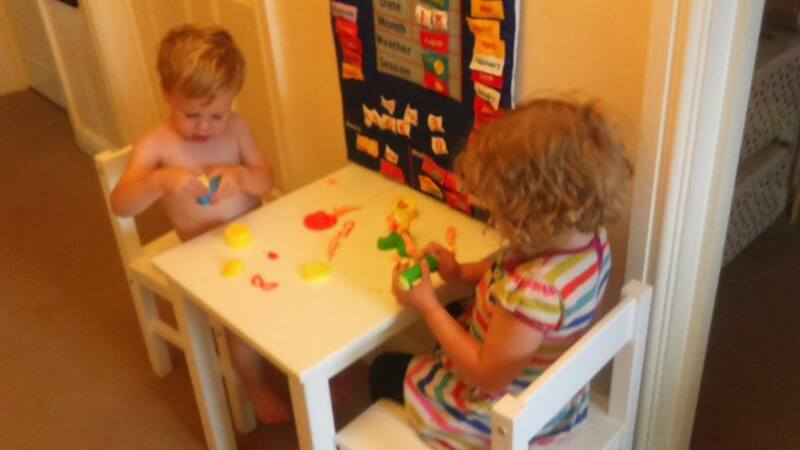 Here are a few pictures of what we have been up to. Thanks for taking time to have a look. 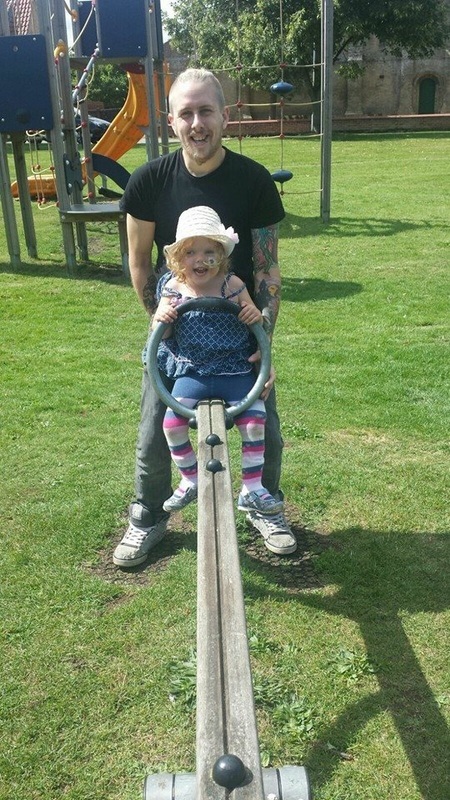 Maya has been working incredibly hard in all areas of her physio and the benefits are really showing. 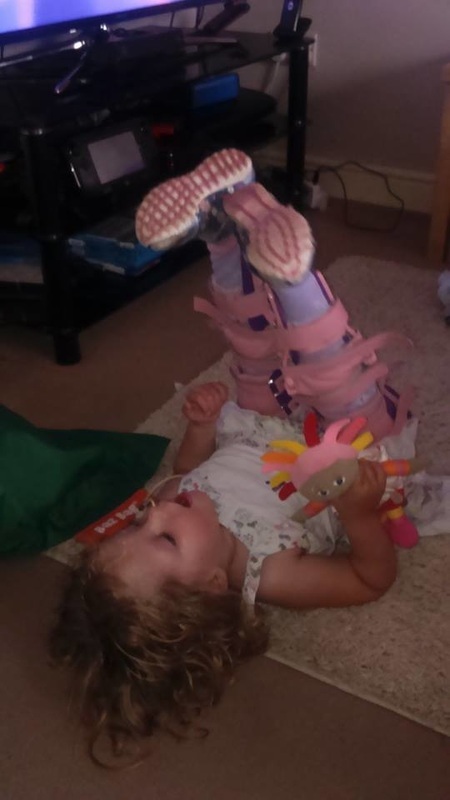 She is faster and gaining new skills daily in her wheelchair and now is pritty much at the stage where she can do everything another child would do on their legs! We can not wait to get her new light weight chair. there will be no stopping her!! She is currently learning to 'hop'! 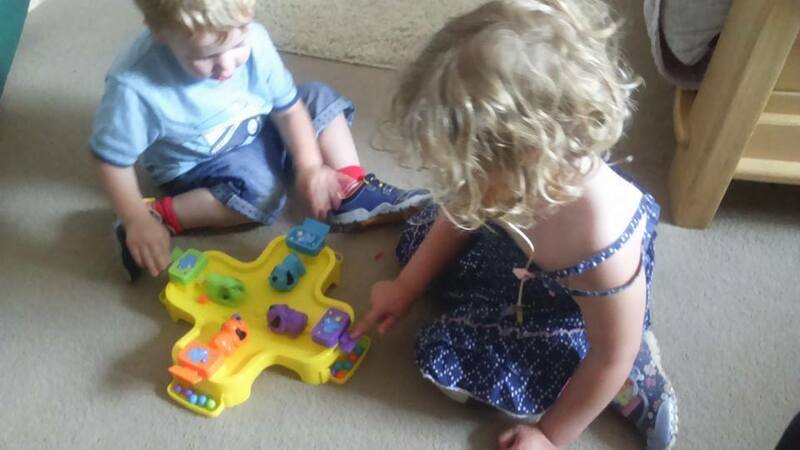 On the 25th August Maya got her first pair of KAFOs. She is one of the first children in our area to ever get KAFOs so young. 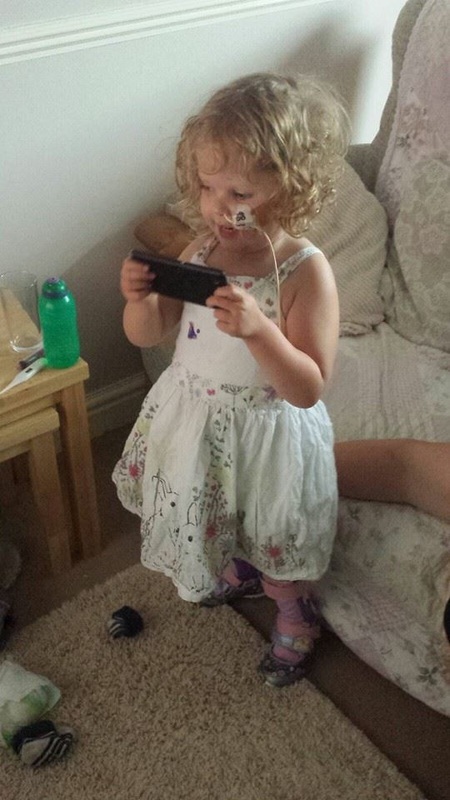 We hope it will really make a difference to her confidence and ability to stand and walk for longer periods of time. They also really straighten Maya's legs and stop her legs from rotating outwards so much. 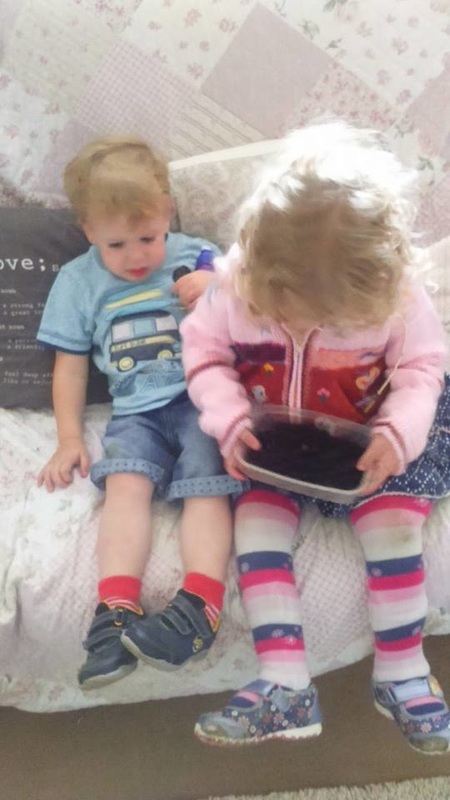 We though Maya would get really fustrated with them as they make crawling more difficult for her but her strenth and determination is incredible and she has being doing so much already. We can already see a huge difference for her! 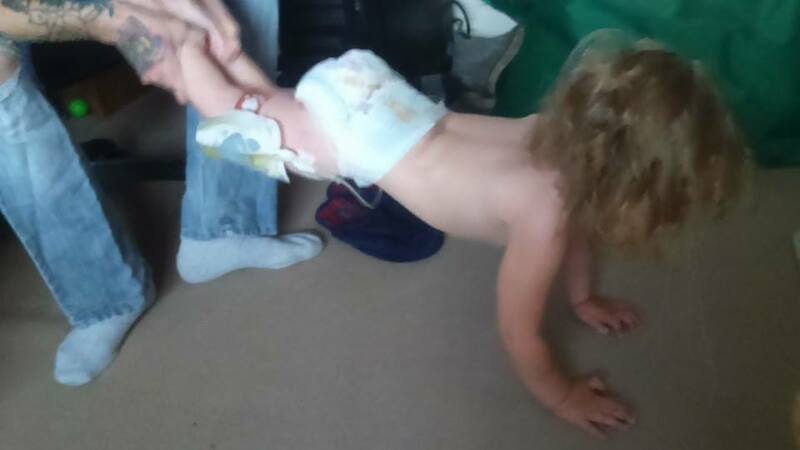 Press ups with Daddy! she is getting incredibly strong! We use our lazy spa almost on a daily basis (if Maya is well enough and the weathers fair) Maya is getting so confident in water. She wil lwalk arounfd the pool herself, will try to swim, jump and float. She loves it and even swims underwater. 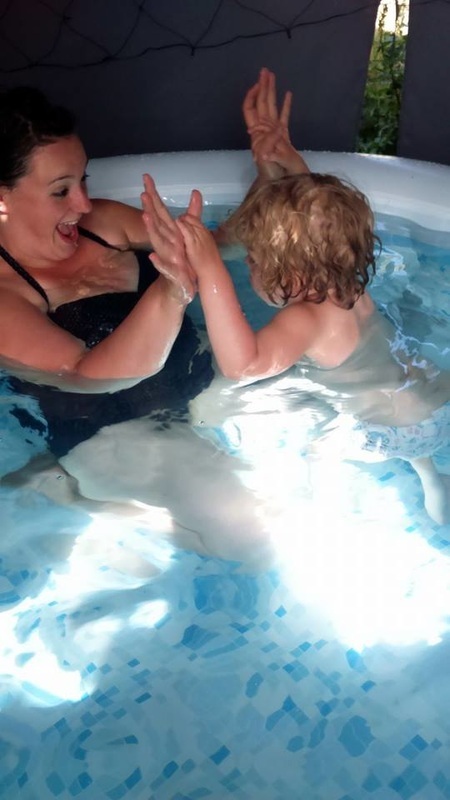 We love that the water is warm so we can stay in for longer and she finds the warmth and bubbles great for relaxing as well as stimulating her muscles especially in her legs. 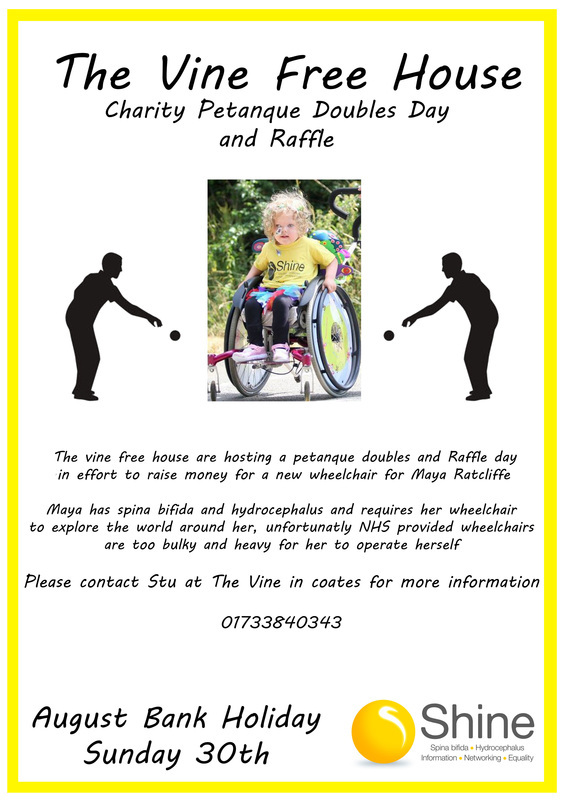 We are so excited for Maya's Petanque fundraiser day at the Vine pub in coates this Sunday at 10:30 (30th August) Hoping for great weather and a good turn out. The fundraiser is been held to raise money to buy much need equipment for Maya with a Lightweight wheelchair at the top of her wish list. Photos coming soon!